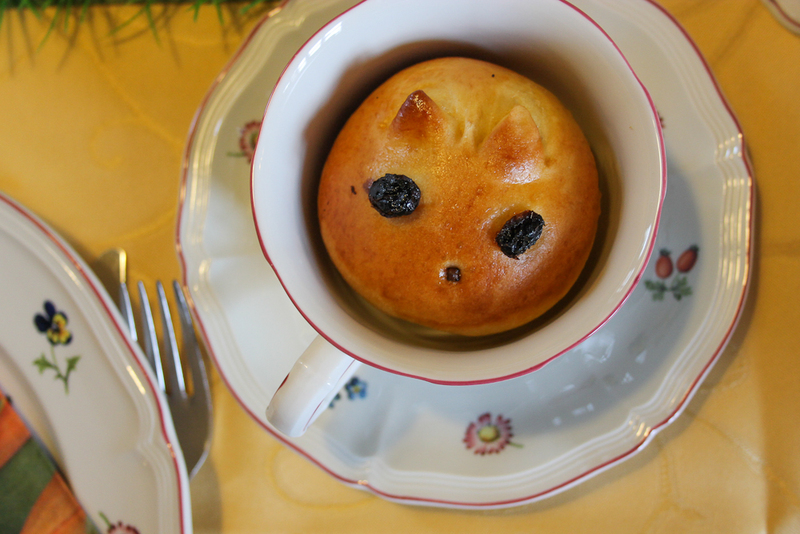 I have baked the rolls in a muffin form as well as in some souffle forms which I have first greased with some butter to prevent it from sticking. I wanted to ensure that they stay round but be aware that they will get huge in the oven!! We were all so excited to see them almost explode in the oven! Haha, huge bunnies with small ears 😀 Possible, right? Add the salt and mix again for about 5 minutes. 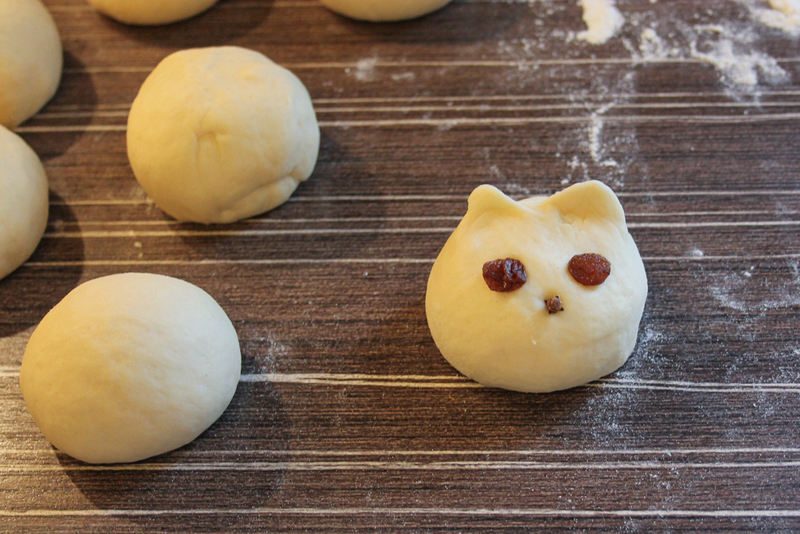 Check whether the dough is smooth and flexible if not mix for another 5 minutes. Once the dough is nice elastic let it rise for an hour or until risen double in size. 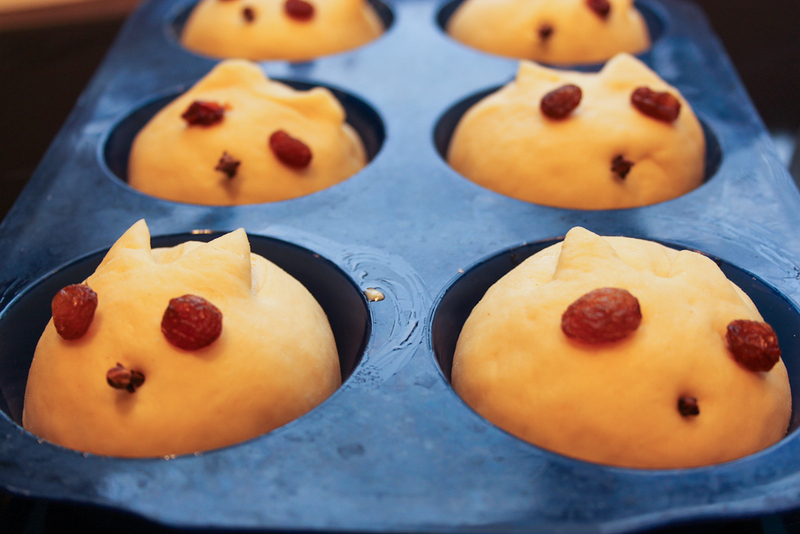 Make small dough balls and put them into the prepared muffin tin. 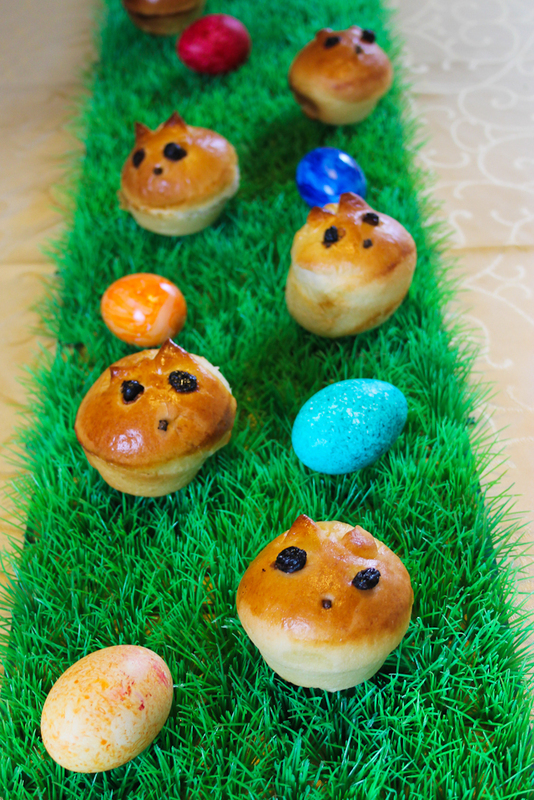 Decorate each bunny with two raisins as eyes and one clove as nose. Using a scissor cut out two ears for the bunny. Best is to cut as flat as possible as you will get more Bunny-like ears that way. I you want a cat or mouse cut it more from above and make less deep cuts. 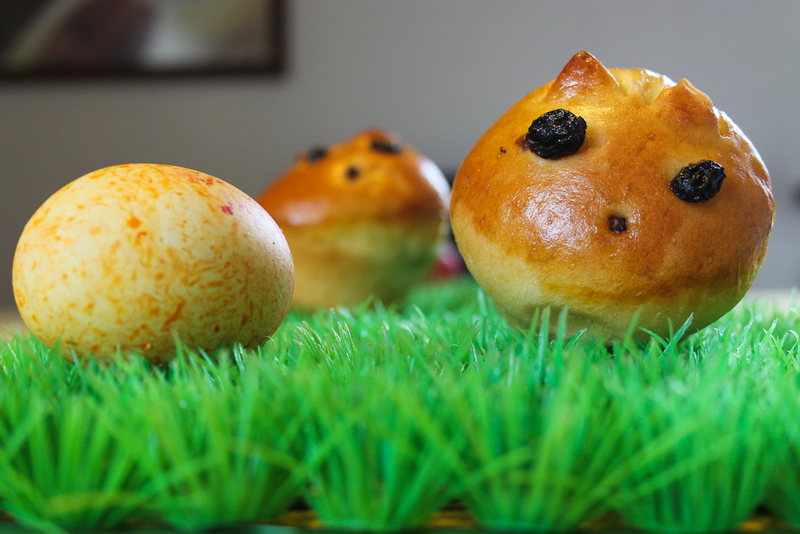 Mix 1 egg with some sugar and salt and brush the Easter Bunny Rolls. Let the rolls rest for another 10-15 minutes. 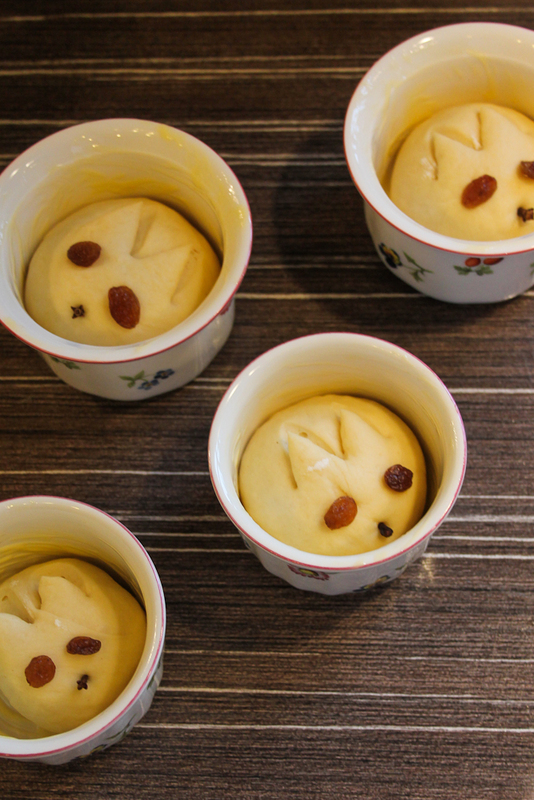 Bake them in a pre-heated oven for about 15 minutes at 200ºC.